"Oh Come, All Ye Thankful"
Of the least consequence is the meta-of-the-week, Weather Witch, who has a grudge against her father Mark Mardon (Weather Wizard, natch) strong enough to make her want to drop a truck on his head. She doesn’t succeed in doing so, because the version of Mardon who shows up to meet her is actually a hologram being operated by Iris. This raises the question of where Ralph is this week, since he could have taken on Mardon’s shape and avoided the whole glitching hologram scenario, but I digress. Whatever Weather Witch’s problems are with her father, they’re not the point; she’s really here to illuminate and resolve Nora’s conflict with her own dad. 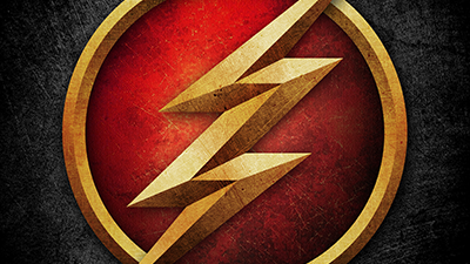 On the one hand, this is an occasion for more “what it means to be a hero” education for Nora, which is standard operating procedure for Team Flash. (We saw Ralph go through all this last season.) 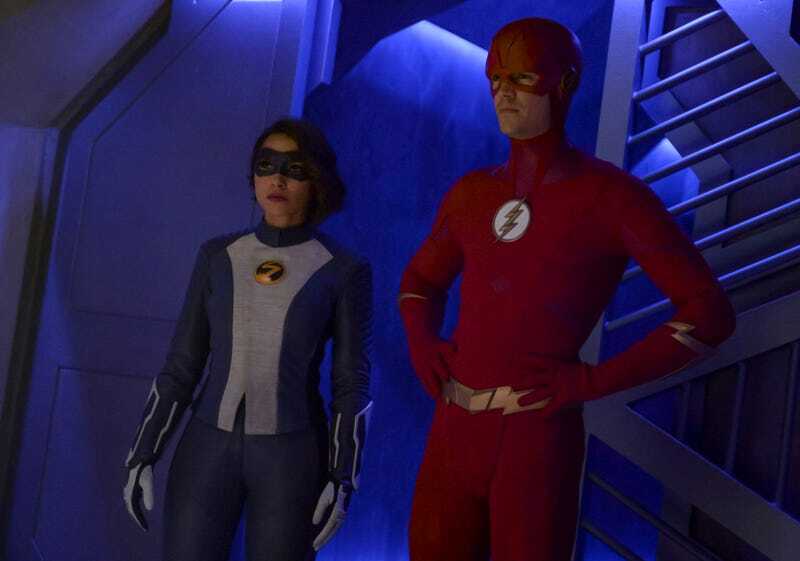 Nora has to experience the guilt of making Barry question whether he should potentially sacrifice himself for the innocent bystanders at the airport when he turns himself into a lightning rod to battle Weather Witch. But it’s not like her argument that he could avoid the possibility of dying or disappearing by ceasing to be the Flash held much water anyway. When you have to save the city every week, you’re also saving yourself in the process, so if you stop doing that...well, it doesn’t bode well for your longevity. There’s a self-preservation aspect to the whole superhero thing, a point Barry makes when he tells Nora he does it all for his family. The other father who lets down his daughter turns out to be a surrogate parent reluctantly pressed into becoming his niece’s guardian after his sister is killed in a meta attack. This is Orlin Dwyer, which means we get the origin and motivation for Cicada laid out in a series of flashbacks. Yes, the doting daddy we’ve seen all season once wanted nothing to do with Grace Gibbons, even stooping so low as to hand her a days-old carton of Chinese food for breakfast. Over time she melted his heart, but their carnival celebration was marred by the Enlightenment and the subsequent satellite explosion that sent a meta-shard into Dwyer’s chest and Grace into a coma. Dwyer blames himself, but it’s Grace’s helpful doctor who suggests it’s really the metas who are responsible. Thus, they all must die. It’s a workable, if not especially original, motivation, and at least Chris Klein gets to do some human-scaled acting before reverting to cartoon villainy. But the part of the episode that captures what The Flash does best had nothing to do with any father-daughter drama. The thankless Thanksgiving shared by Sherloque, Cisco, and Caitlin conveys the absurdity of traditional celebrations of togetherness and fellowship in a world gone mad, as well as the necessity for them, and I love that it’s Killer Frost who calls them on their lameness and makes them join the party. The relationships and interplay among these characters can be plenty entertaining without heaving big drama bombs into the mix every week. Thanks to Sherloque and his observation of the hospital’s CCTV feed, Team Flash now knows Cicada’s identity. Score one for the French Wells. “Young Ralph Macchio” may be the most cutting insult a Wells has yet hurled at Cisco. More time-twisting shenanigans? We learn that the future Flash museum doesn’t preserve history as we know it, omitting the fate of Ronnie Raymond, for instance. And next week it looks like the team is throwing away any pretense of respecting the time-space continuum by romping their way through seasons past. Should be fun. My debut novel Charlesgate Confidential is now available from Hard Case Crime.